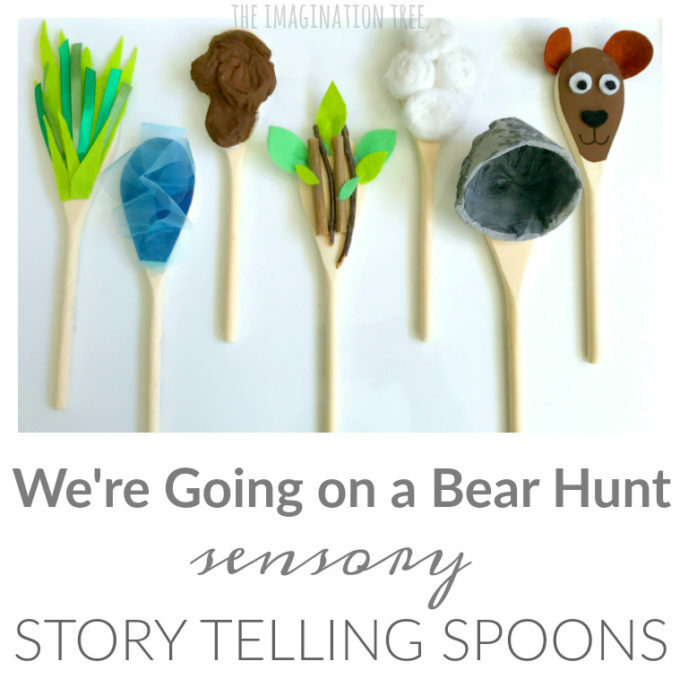 Make some absolutely gorgeous sensory storytelling spoons to go with the classic picture book We’re Going on a Bear Hunt! 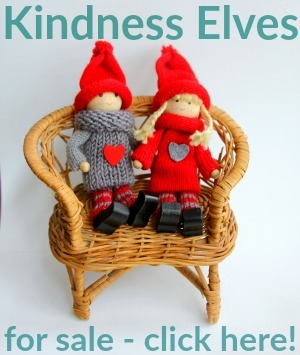 Perfect as a DIY literacy resource for home or the classroom or to pair with a copy of the book as a wonderful birthday present for a preschooler in your life! 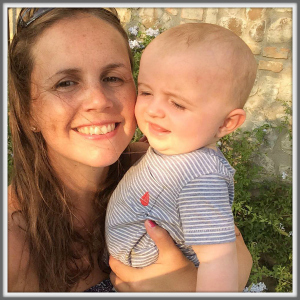 I’ve got many many posts here on this blog about creative, engaging ways to tell stories together with young children as it’s one of my biggest passions. 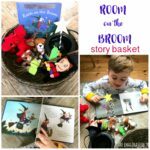 From reading 5-a-Day Books, to making story boxes, story sensory baskets and even retelling with play dough and props, there are dozens of ideas to spark imaginations and liven up story time in your home or classroom! 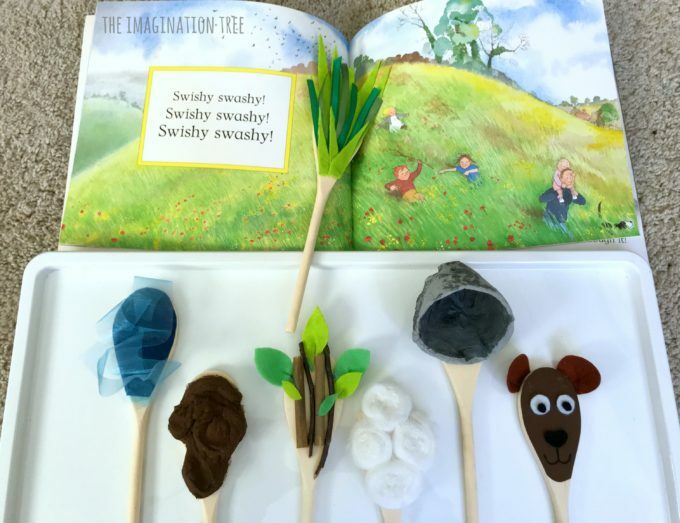 Recently my youngest two, now aged 5 and 3, have discovered the joy of We’re Going on a Bear Hunt and so, as well as reading it together nearly every single day, I thought we could extend the storytelling possibilities by making some Sensory Story Spoons. Watch the How To video here! And please pretty please subscribe to my brand new YouTube channel while you’re there! 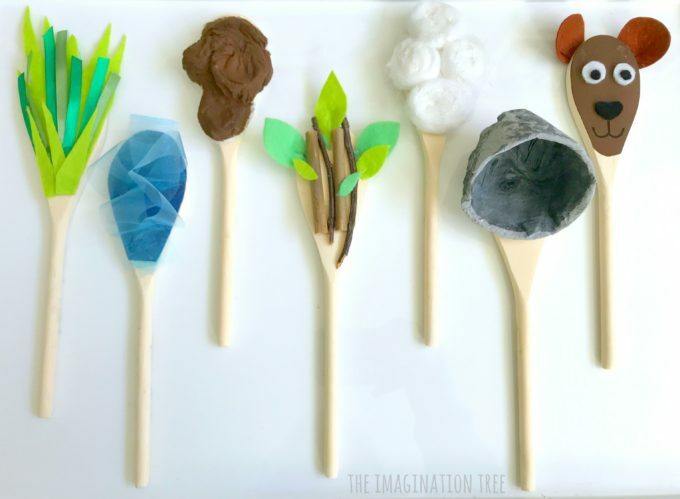 I’ve seen lots of versions of painted story spoons and stones around, but always love to make our DIY resources as tactile as possible for the added sensory rich dimension. 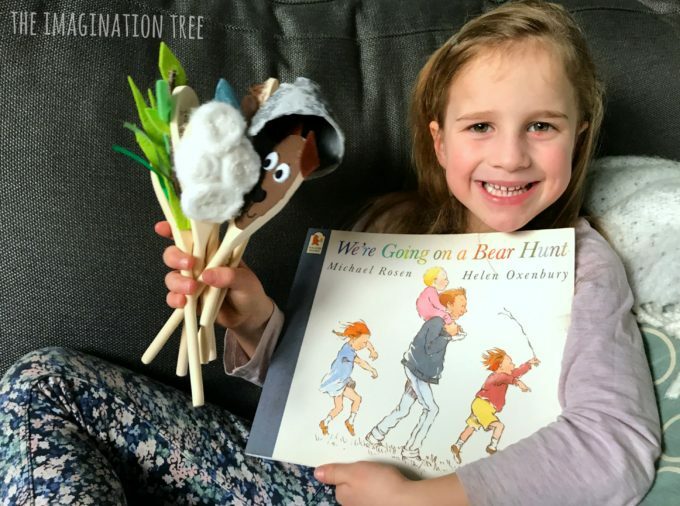 So we talked about the places that the family travel through to find the bear, and made each one on our spoons using a range of materials! I cut thin triangles of green felt and hot glued them onto a spoon in between strips of silky green ribbon. This made a layered effect with long pieces at the back and shorter at the front. It’s possible to move them and they feel lovely and tactile to touch! I cut a piece of blue felt to the correct size and stuck it to make a background on the spoon. Then I cut wide strips of blue organza fabric (from a gift bag) and hot glued those so that they stick out to make a 3D rippled effect like water. They can be touched without coming loose. This one looks like poop, according to my kids, who think it’s hilarious (we seem to have been at that stage for years now!) I loosened up some cotton balls and then stuck them down to cover the spoon in irregular style. Then I painted over it using brown acrylic paint and left it to dry out. This was fun to make using real twigs and mini pieces of bamboo cane which we had on our loose parts shelves. I also cut some leaf shapes from two tones of green felt, then hot glued them all in place. Cotton balls again, this time complete in their original shape and then with added white sparkly glitter over the top! This spoon looks gorgeous when waved around in the light. This spoon presented the biggest challenge as I wanted to make it three dimensional. After a couple of attempts with some empty packaging I decided to make the shape myself using tin foil. I folded a round shape from foil and stuck it with tape. Then I covered it using strips of kitchen paper towel and white/ PVA glue. When it was dry I painted it with grey paint and then stippled some darker grey over the top to make it look a little like stone. I then hot glued the cave shape onto the spoon itself to make the cave complete! 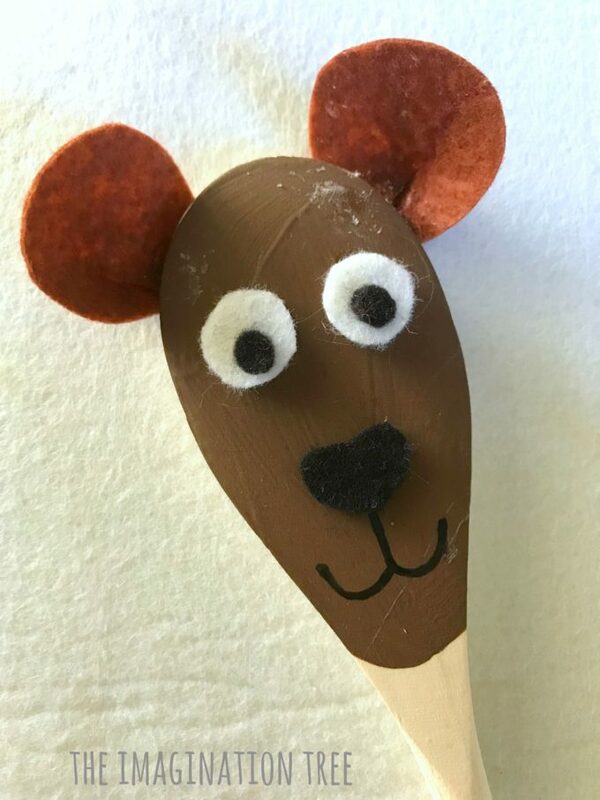 I simply painted the spoon with brown paint and then added some semi-circles of felt for his ears, a small black felt nose, white and black felt shapes for the eyes and a Sharpie drawn mouth. On the back side of each one I wrote the place eg Long, Wavy Grass and then the sound effect along the handle Swishy, Swashy. This is helpful for me as the adult retelling the story without the book and also they quickly learn to read those words too as they can make predictions about what they must say. Win, win! The kids were so excited to touch and play with the Sensory Storytelling Spoons and Miss 5 in particular immediately started to tell the story herself. first using the book as a prompt to match each page and then alone without needing the book any more. 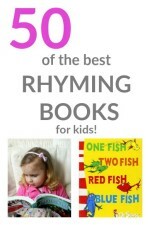 Mr 3 also loves them and has started to repeat the key repetitive refrains from the book, waving the spoons and shouting the corresponding phrases! Eg “Swishy Swashy, Swishy Swashy” when holding the long, wavy grass spoon. This is a key stage of early literacy development and he will be able to retell parts of the story himself soon by doing this. 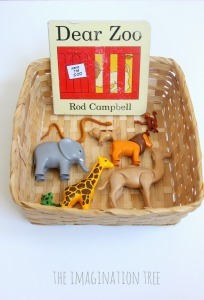 I’ve stored these in a large jar on the play shelves next to a well-loved copy of the book so that they can choose to use them whenever they like. I’m already planning which ones we will make next- it has to have a sensory element! If you’ve got ideas for what you’d like me to make then pop a comment below and I will give it a go! 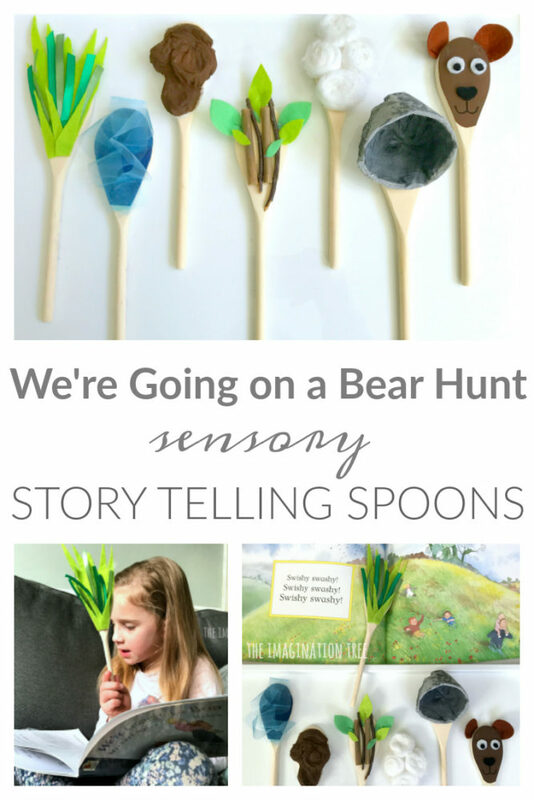 If you loved these Sensory Storytelling Spoons I would be SO grateful if you could share this post on social media. And certainly come back and let me know if you decide to make some! I’d love to see your versions. If you would like to check out our STORYTELLING ARCHIVES we have loads of ideas to get you started! 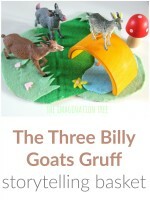 And another ba-zillion easy peasy ideas and activities you could try in the PLAYFUL LITERACY archives too. Perfect for toddlers all the way up to 7/8 year old school aged kids. « Valentine’s Fluffy Slime Recipe! I love these! My students really love this book and the song as well! When we retell stories, they usually use felt boards or puppets, and sometimes they even create costumes and act out the plot. This is such a novel way to engage with and retell stories! 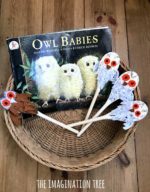 I really like the fact that the children can create the spoons themselves and that the materials offer a sensory aspect that is not as present through the methods I typically use for retelling. 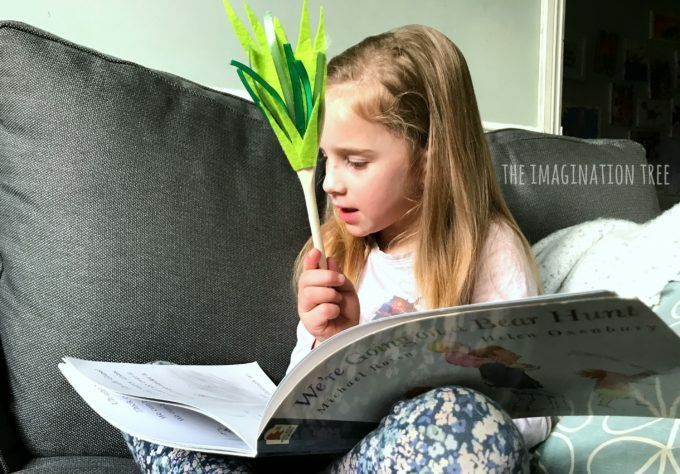 Have you used story-telling spoons with any other books? I think it might be interesting to let me students choose their own books and see what types of spoons they come up with! I definitely want to give this a try! Thanks so much!